GoodReads Summary: Mackenzie and Amy were best friends. Until Amy was brutally murdered. When I first started blogging I loved Paranormal Romance, but my love for it quickly began declining to the point where I rarely ever read it anymore. When I read the summary for Hemlock I thought it sounded like every other PR out there...but boy was I wrong. I thought the plot for Hemlock was going to be predictable, but Peacock has done a fantastic job of keeping readers in the dark. There were so many unexpected twists and turns that I hadn't been anticipating and I was completely shocked when the revelations came to light. There is a love triangle...well, sort of. I say sort of because both Jason and Kyle like Mac, but Mac only likes one of them and is oblivious to the way the other guy feels about her. I just hope Mac sticks with the one she likes and doesn't start developing feelings for the other, because in my opinion he's a jerk (although I admit I did feel sorry for him at times) and love triangles annoy me to no end. I love that the author portrayed the werewolves as dark and vicious. It's a refreshing change from the way other YA books have dealt with them - it added realism to the story and made it more enjoyable to read. Mackenzie is the definition of a strong and independent heroine. She doesn't need guys to come to her rescue as can be seen in the scenes where she tells the guys off for thinking so. The characters in Hemlock all felt very realistic, my favourite is the guy Mac ends up kissing - he's caring, protective, and swoon worthy! "It was official, my life belonged on the CW." I felt exactly the same about paranormal romance. A lot if the stories felt recycled, or overdone. 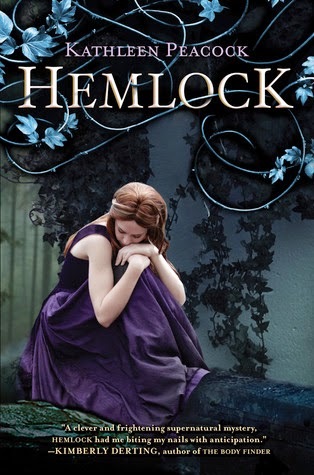 But I loved Hemlock. I hope she sticks w/the same guy, too. Glad you enjoyed this. Can't wait for book two! I love that the werewolves are 'dark and viscious' When the supernatural element is dark and gritty the way it should be, the book has automatic high points from me. Plus an independent heroine? Unexpected twists? A paranormal romance that stands out from the rest in the genre? I want, want, want this book! So excited for it, thanks for your fantasic review! Interesting. I have this book but I have been avoiding reading it. I've become pretty jaded about paranormal YA too. 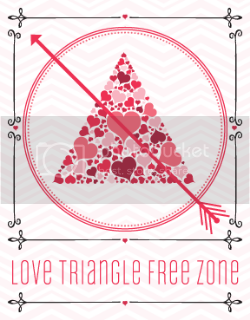 I especially hate insta love or triangles but since you say it isn't really a triangle I think I'll give it a shot. I like that the werewolves are darker.